Nearly two dozen people are displaced after a townhome blaze near York University's Keele campus on April 1. According to the Canadian Broadcasting Corporation, Tony Bellavance, a platoon chief with Toronto Fire's north command, said he and his team could see black smoke emerging from the building while they were heading over to the scene. He added that the fire had already penetrated the roof by the time the firefighters arrived. Jessia Arsenio, a resident of one of the townhomes, told the Toronto Star he thought the fire was his housemates playing an April Fools' joke. He added that he isn't sure when he will be able to return to his house and hasn't been given any information regarding the condition of his items and apartment. 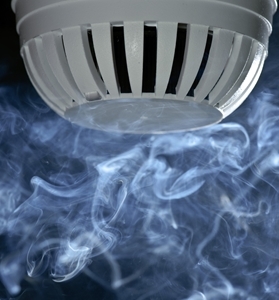 Having a fire in a home is an extremely tragic incident that can cause a lot of damage. If anyone in the Toronto area ever is in the situation Arsenio and his housemates were in, or would just like a safe place to store items that are valuable to them, it's strongly suggested to consider renting a Toronto self storage space.